1) Each partner contributes something to the partnership, whether it be money, skills or labour. 4) The contract between the parties should be a legitimate contract. The contribution made by each partner does not necessarily have to be of a monetary nature. As long as such contribution has commercial value, it is acceptable. With reference to the second element, “business” is defined as “anything which occupies the time, attention and labour of a person for the purpose of profit”. Whether the business activity is of an indefinite nature or aimed at completing a single, particular project, a partnership can exist. The concept of “joint benefit” illustrates that a partnership can only exist if all the members thereof benefit from the business activities of such a partnership. Therefore it is deduced that each partner must share in the profits as well as in the losses of the partnership. One partner cannot benefit from the profits while another is responsible for all the losses. The latter concept is, after all, not recognised in South African law. The above clearly excludes charitable and welfare institutions as well as sports clubs from the partnership list. The agreement concluded by the parties to a partnership must be valid. The agreement must contain the essentialia of a partnership. Furthermore, the parties involved must have the intention to establish a partnership. Should the agreement not be indicative of the nature of the relationship between the parties, the subsequent conduct of the parties can be referred to. This may very well paint the true picture of the parties’ intention. Although the parties may agree, whether it be by verbal agreement or in writing, on certain formalities concerning the parties and the relationship between them, should the essential formalities not be complied with, no partnership would have been established. In South African law, a partnership is viewed according to the aggregate theory of partnership, which means that a partnership is regarded as a collection of individuals and not an entity. Therefore, a partnership does not enjoy legal personality, as it is the individual partners in their personal capacities who are co-owners of assets and jointly and severally liable for losses. One of the exceptions to the lack of legal personality of a partnership is in the case of insolvency of the partnership estate. According to Section 13(1) of the Insolvency Act 24 of 1936, if the partnership estate is sequestrated by a court, the personal estate of every partner will simultaneously be sequestrated. With regards to the personal liability of the individual partners the following applies: each of the partners is jointly and severally liable for all partnership debts. The case of Geldenhuys v East and West Investments (Pty) Ltd 2005 (2) SA 74 (SCA) is relevant in this instance. The facts of the case in short are that the appellant, an attorney, was ordered by the court to pay his previous landlord a sum of R36 761.10 in respect of arrear rental. 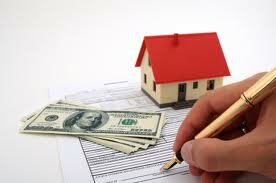 The attorney’s partner had settled a larger amount with the landlord. The question which then arose was to what extent the appellant was liable? The court ruled that the partners could be held jointly and severally liable for the full amount of the disputed debt and therefore the landlord could, and should, sue both the partners. Subsequently, judgement was given against both partners. During the existence of the partnership, the partners are co-debtors and jointly and severally liable for all partnership debts. Creditors must sue all of the partners and cannot institute action against only some of the partners. However, as soon as the partnership is dissolved, this rule falls away and the creditors may seek satisfaction for their claims from the individual assets of any of the partners. An event worth popping the champagne for is one where you finally conclude a property sale transaction by signing your name on the dotted line. How annoying would it not be if you should find out that there is a major spanner in the works (that you were blissfully unaware of) which will delay the conclusion of the transfer of a property with almost 2-4 months? This, unfortunately, can happen to both the seller and the purchaser. The obstacle referred to here is the silent deregistration of a company by the Companies and Intellectual Property Commission (“the CIPC”) due to outstanding annual returns. That such an insignificant misstep can have such serious repercussions, is hard to imagine. It is definitely not a pleasant experience to find out that your company does in fact not exist, even if the situation is just temporary. The result is that your company can not be party to any agreement while it has a “deregistered status”. Should you be in a position where your company, as the seller or the purchaser, intends to enter into an agreement for the sale or purchase of a property, ensure that all your company’s secretarial matters are in line to avoid unnecessary delays. If your company does not have a designated person attending to the company secretarial work, you can appoint an independent expert or company to manage this process on your behalf. Firstly, you need to inspect and ensure that the names of all (and only) the current directors of the company are displayed on the CIPC’s records. If this is not the case, the CIPC will request the signatures of all the directors on their records before making any changes to your company profile that you may request. This becomes problematic if one or more of the directors might have died or has resigned from the board of the company. If it is established that the list of directors on the CIPC’s records does not accord with the list of current directors of your company then one has to submit a C.o.R 39 form in order to notify the CIPC that the composition of the board of directors have changed. This process takes approximately 6 – 8 weeks. Only once you receive confirmation that the above changes have been effected (if applicable), you may launch an application to have your company re-instated. This process also takes approximately 6 – 8 weeks to conclude. Upon receipt of confirmation that your company has been re-instated and is again active, the value of the outstanding annual return can be determined, after which same can be submitted to the CIPC. As soon as the above procedures have been completed and your company secretarial matters are up to date, you are entitled to enter into an agreement with another party for the sale or purchase of a property, or any other agreement for that matter. We appreciate that the periods mentioned above (6-8 weeks) are fairly lengthy. The processing time is solely dependant on the workload, processing time and backlog of the CIPC and is unfortunately not in our hands. All the abovementioned procedures can be done and managed through our correspondent. Please contact us at 021 461 0065 or alternatively at legalassist@oostco.co.za for more information in this regard. BUYING YOUR PROPERTY IN A TRUST: IS IT REALLY WORTH IT? Since the property is not registered in your name, the value of your personal estate upon death is reduced. The direct implication hereof is a reduction in your estate duty exposure. Also, should the asset value have increased over time, this growth will be excluded from your estate and the capital gains tax (“CGT”) payable on your estate is reduced accordingly. Executor’s fees pertaining to these assets will also be eliminated. Looking at the downside, the following count under the most burdensome disadvantages of purchasing property in a trust .